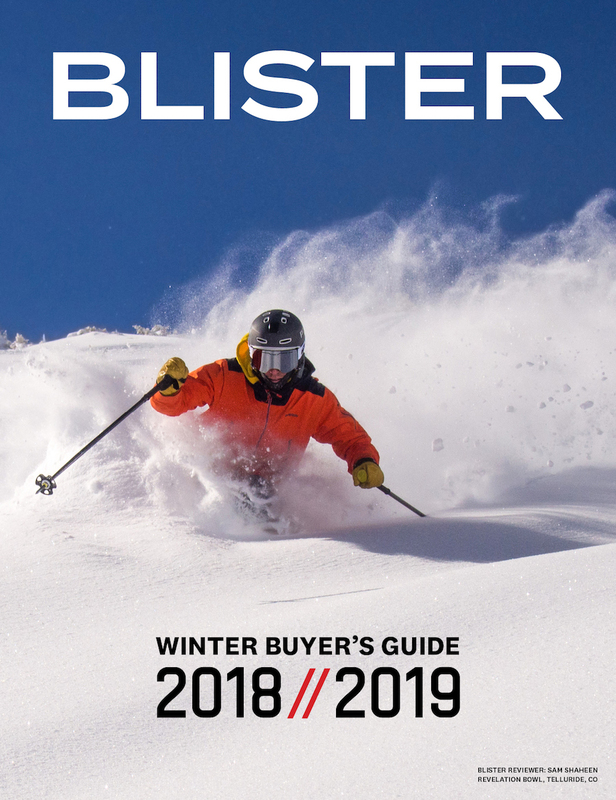 In his review of the Kastle XX110 West, Jason Hutchins found the ski to be a great backcountry jib ski as well as a super predictable and intuitive resort ski—on pow days and when conditions got a little firmer. 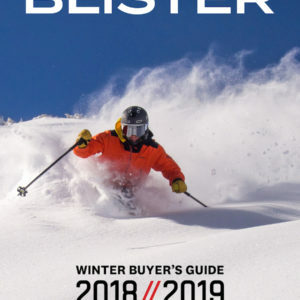 I’ve said very similar things about the 190cm Salomon Rocker2 108 and the 190cm Moment Deathwish, skis that are definitely within the same category as the 190cm Kastle XX110 West. 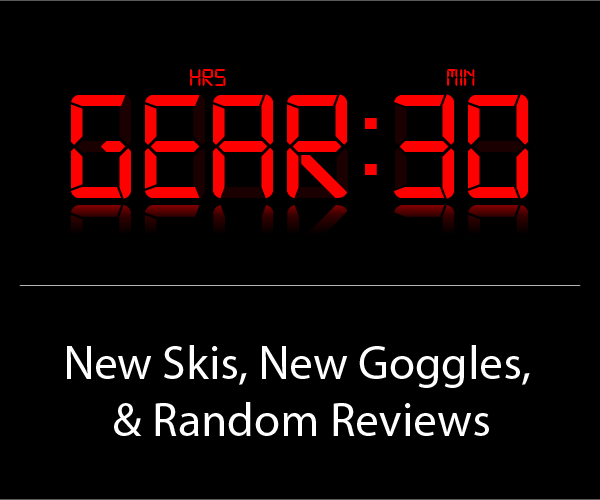 So how do these three all-mountain, freestyle skis stack up? With some great early season coverage, I had the chance to get the XX110 West in 5-6” of slightly thick but fresh snow off Taos’ Highline Ridge. Through slow, short-swing turns in the trees, and longer, much faster turns at the bottom, open portion of Twin Trees, the XX110 West floated and tracked through fresh snow very well. The ski has a very predictable feel in powder, and feels at home making smooth, snappy turns from a light, centered stance. The 190cm Moment Deathwish and 190cm Salomon Rocker2 108 are very comparable to the XX110 West in this way. All three suit a fluid, upright skiing style over a more traditional, forward stance, and provide a nice amount or float for their ~110mm waist width. Like Jason, I was also impressed by how quick and nimble the West is in firm conditions. The ski’s swing weight is impressively low for its size and width. Days after our runs off the Ridge, after the mountain had been skied off quite a bit, I spent a lot of time lapping steeps off Taos’s Chair 2. Reforma, Castor, Pollux, Werner Chute, and Longhorn were all firmed up with sizeable bumps and narrow sections that required tight, scrubbed turns. To quote Jason, the “West offers the stability of a longer ski, but feels much more like a 180cm ski in terms of swing weight. This is a great benefit when in tight spots…” I couldn’t agree more. Pivoting the West across the fall line quickly is no problem at all. Occasionally the width of the ski made navigating especially tight moguls a bit challenging, so the West is not as quick as a ~98mm underfoot ski is in moguls, but it rarely felt inappropriate to take it in fully formed bumps, and for a ski of this width and length, that’s saying something. The tips and tails of the West are on the soft side, but the flex stiffens very smoothly toward the center of the ski. This gives the West a pretty large sweet-spot even in funky, variable conditions. In firm snow in Taos’ steepest terrain, as long as I remained balanced over the ski, I could confidently take the same, aggressive lines I would have on a ski with more effective edge in its tail. Making big, wide arcs down the lower portion of Reforma, boosting off moguls and running over loose chunks of snow and smaller, worn down bumps was surprisingly comfortable. To be clear, similar to the Moment Deathwish and Salomon Rocker2 108, the tails of the XX110 West don’t provide much support if you happen to get kicked back on them, and they will wash out if you favor the shovels too much. So while you can do some aggressive, fast skiing on the XX110 West on firmer snow, you’ll have to assume a lighter, more upright stance while you do. Still, the XX110 West is just as stable as the 190cm Deathwish in variable conditions, but I found it a little lighter and more maneuverable at slow speeds. So in terms of a balance of playfulness and stability, the XX110 West wins out over the Deathwish in my book. The XX110 West is probably a bit more dependable than the Salomon Rocker2 108 in this area too, especially for someone heavier than me (160lbs), but I’m not willing to go ahead and say it’s also a better all-mountain, freestyle-oriented ski than the 108. The West also trumps the Deathwish with its feel and response on edge on groomers and smooth, firm snow, where the Rocker2 108 has a different, not necessarily worse feel. The XX110 West feels as predictable and well balanced on groomers as it does everywhere else. 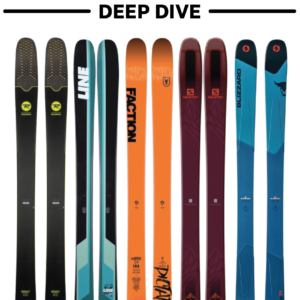 By no means will it offer the same bite and edge hold on hardpack as a more directional ski with less tail rocker, but the XX110 West can hold its own so long as you have just a little soft snow to bite into. The XX110 West does have a very particular feel on edge, though. As Jason mentions, the West’s sidecut runs nearly the full length of the ski, and is fully symmetrical, yielding a single-radius turn when tipped on edge. 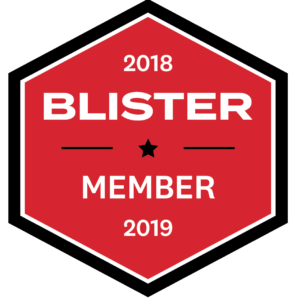 This meant I could either confidently and comfortably carve the ski’s 24 meter radius with speed, or easily smear out some shorter, quick turns when going much slower. But when I went to brake/feather out the West’s edge to make long, fast slarve turns, the ski always felt like it was trying to “reign in” the length of the turn, wanting to find and settle in on that 24 meter arc again. This isn’t a bad thing, really, it’s just a characteristic of a fully symmetrical ski. 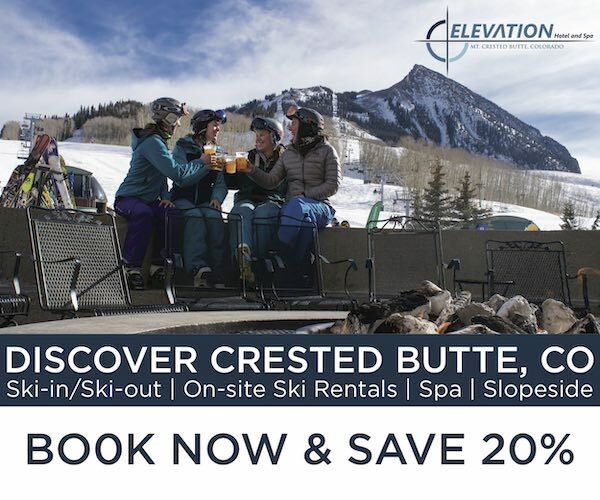 It means you’ll get used to the kind of turn the ski makes on edge, and can know, with confidence, exactly what kind of shape you’re going to get when you lay it over in a carve. On the other hand, the 190cm Rocker2 108’s sidecut is not at all as simple as the XX110 West’s. The 108 isn’t symmetrical, and the sidecut feels much more “variable” in comparison. Most days spent at Taos, Wolf Creek, Telluride,Purgatory or Big Sky. Coax dimensions 139-105-130 with 23 meter radius twin tip. 5’11 165 lbs. How would Kastle xx110 compare?